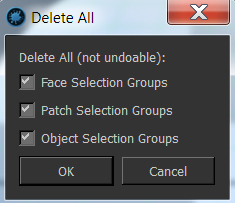 Mari Extension Pack adds a variety of useful options to the right mouse click dialog in the selection group palette. Will hide or show all Selection Groups contents in the viewport. Will Lock/Unlock all Selection Groups in the List. 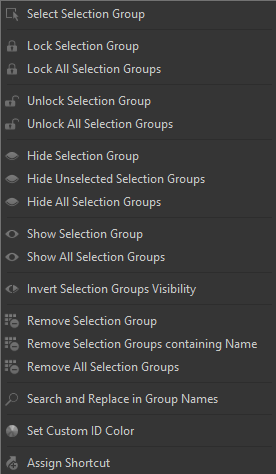 Allows you to rename selection groups by search & replace methods. Allows you to set/clear an Override Color for Material ID Channel baking. The same functionality is available in the 'Material ID Channel from Selection Groups' Tool. Copyright © 2018, http://www.jenskafitz.com, Jens Kafitz. All Rights Reserved.